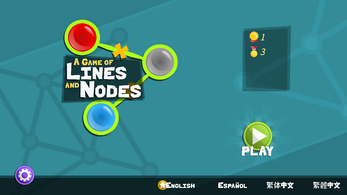 A Game of Lines and Nodes is a brain game featuring a minimalist interface and a relaxed environment. The game is safe for all ages but comes without all the distractions that games for kids usually have. 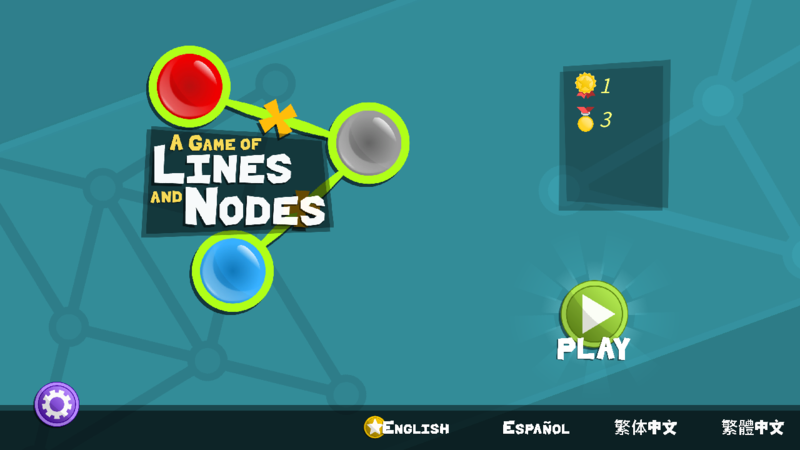 Anyone with a taste for puzzle and mind games should give A Game of Lines and Nodes a try. The game does not require any special permissions in your device, works offline and has no ads. 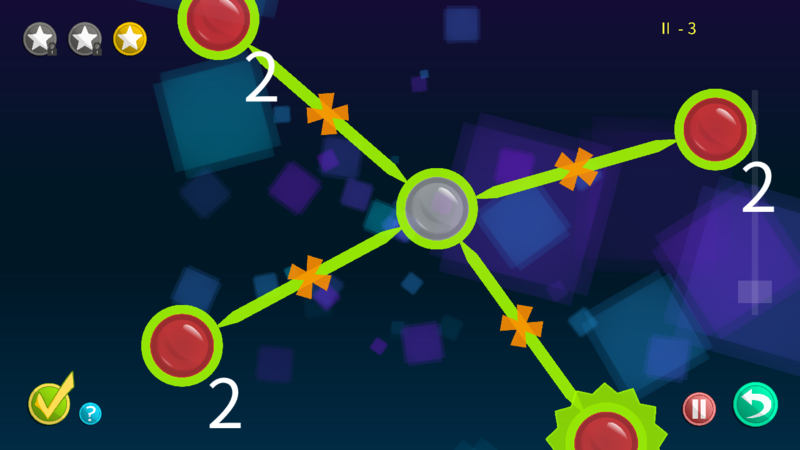 The game involves playing with lines and dots (we call them nodes) but is far from being a simple connect-the-dots game. 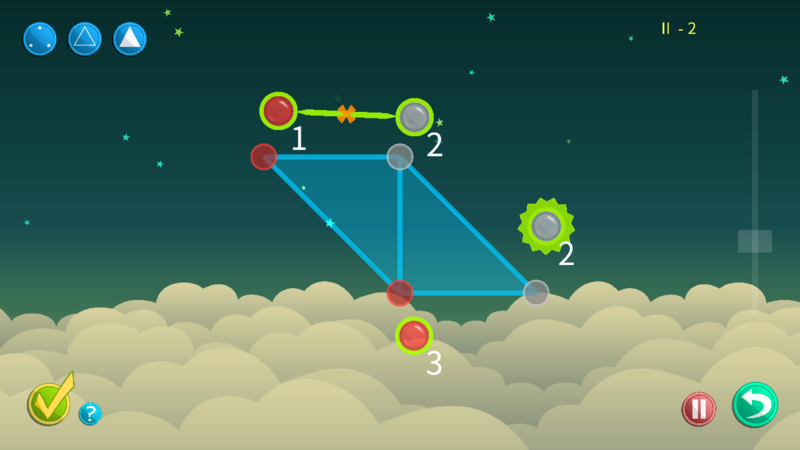 A Game of Lines and Nodes combines elements of Hashi or Hashiwokakero (橋をかけろ, literally translated to “build bridges!”), plus some features that make it unique, engaging and relaxing. The game is somewhat similar to Hashi in that the nodes have a required number of connections and in that lines cannot jump over nodes or other lines. 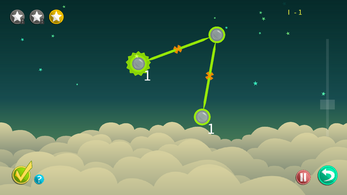 However, nodes here are 'floating' and can be dragged around freely. 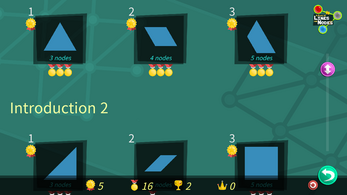 Also, there can only be one connection between the same two nodes, unlike Hashi where there can be up to two. 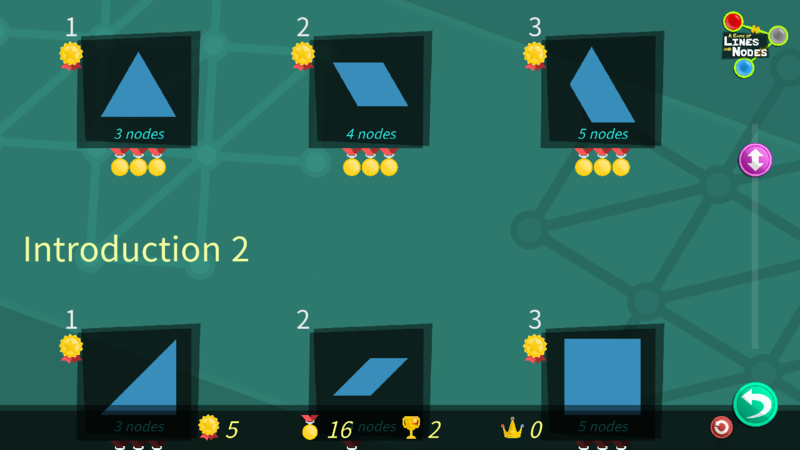 As the nodes get connected, polygons and figures takes form, helping you to determine if you are in the right track to solve the puzzle. Just watching nodes react to each other as they are dragged around contributes to the relaxed environment and is quite entertaining. There are no timers in this game, or any other element or mechanic that will make you feel rushed or under pressure. You can take as long as you like to complete a level, you can even save the state of a puzzle and complete it in more than one play sessions. 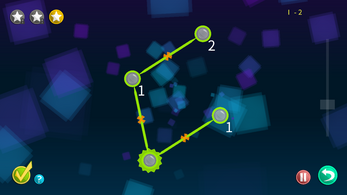 A Game of Lines and Nodes is designed to be as hard or as easy as you want it to be. You can test your might by playing a level without any help and you may succeed, specially after you are more experienced. However, help is always available if you choose to use it. There are no ads, no subscriptions and no in-app purchases. Also, the game is safe for all ages and the simple interface and controls will appeal to both young and mature audiences. 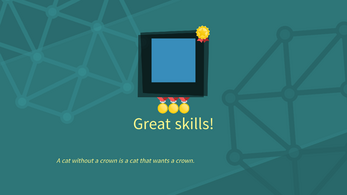 The game can be played in English, Spanish or Simplified Chinese (简体中文) and the language can be changed at any time from the Welcome screen. These issues and limitations only apply to this WEBPLAYER version. There are no problems when the demo or paid versions are installed from any of the App Stores listed on this page.